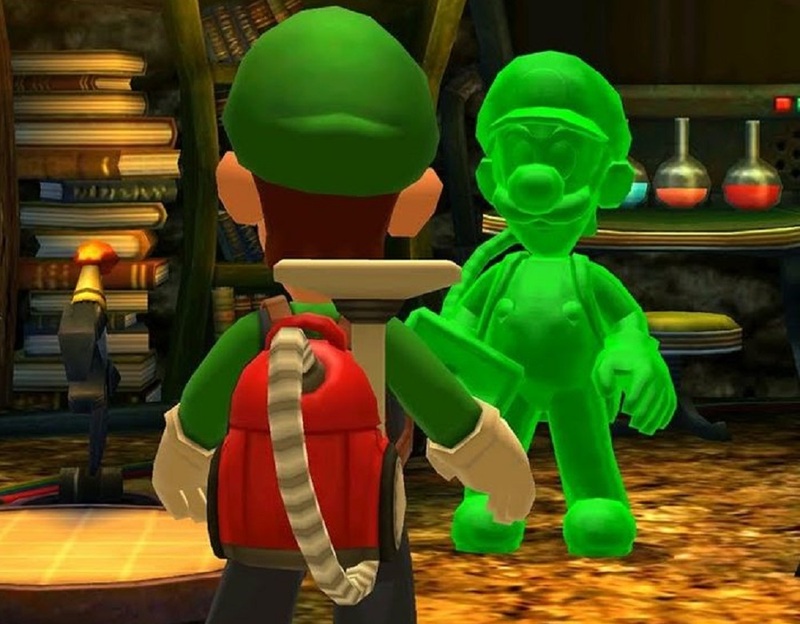 During a recent Nintendo Direct, we learned that the Nintendo 3DS remake of ghost bustin' classic Luigi's Mansion would feature an all-new co-op mode, where Luigi would be aided by what appeared to be a ghostly green outline of himself. As it turns out, this second player helper isn't just a lazy ghosted outline, but in fact he appears to be his own canon character! As seen in a video hosted by GameXplain, player two is in control of a green gelatinous blob, which has been formed into the shape of Luigi's handsome visage by a future version of Prof. E.Gadd. This new character is named, naturally, "Gooigi". Now that this second player avatar has been given backstory and a name, and has already got a page on the Super Mario Wiki, no doubt that qualifies him for an amiibo, his own spin-off title, and a place on the Super Smash Bros. Ultimate roster. Luigi's Mansion launches on Nintendo 3DS October 19.